The golf balls of Justin Rose and Xander Schauffele dash into the water on Sunday in China. Xander Schauffele almost caught a bad break in the final round of the WGC-HSBC Champions, but luckily the Rules of Golf were on his side. Schauffele was tied with Tony Finau while playing the 72nd hole at Sheshan International on Sunday, and the 25-year-old's second shot on the par-5 finisher landed safely on the green. 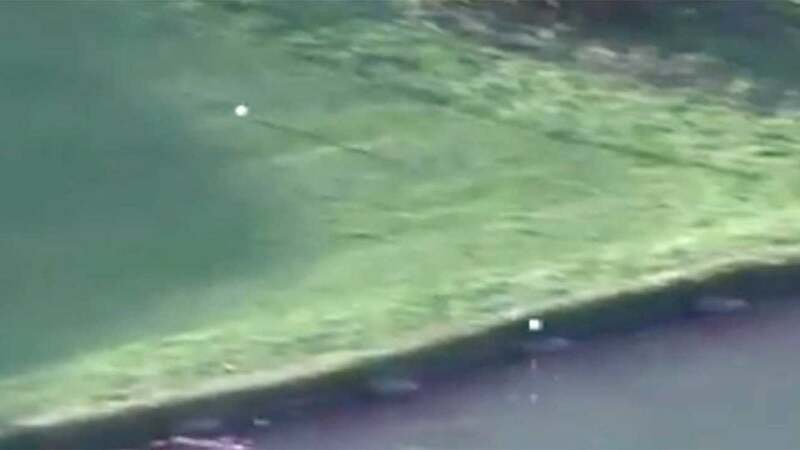 Justin Rose, the third man in the final grouping, was up next, but his shot found the green, rolled out and then collided with Schauffele's ball — sending both balls down the steep slope and splashing into the water. The crowd gasped, and more than a few spectators probably thought Schauffele had just been dealt a terribly unlucky break. But fear not, he had Rule 18-5 on his side.